This is definitely one of Alec Bradley's most popular blends. The powerful Nicaraguan wrapper leaf and a flavorful Sumatran binder wrap around fillers from small yield farms in Honduras and Panama. 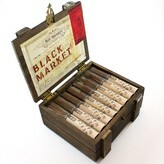 The Black Market line of premium cigars continues to earn ratings of “90” and above, as well as the hearts and palates of smokers around the world..
I’ve been to some shady markets in my time, markets in foreign lands where there were a number of things for sale, some of which were not gotten through legal means. A market full of stalls, some of which hold the usual spices and foodstuffs, others which hold firearms that were obviously pilfered from the UN or illegally imported from outside of the country, and others still which hold fake Rolex’s and what seemed to be pilfered jewelry. A smoky market filled with substances that aren’t legal in most countries, let alone the one I was in. The Black Market Gordo Toro is an aptly named cigar. When lit, it emits immense plumes of earthy smoke, which are pleasant and can fill a home in minutes. The cigar is made with tobaccos from four different nations, all of which are known for their tobacco around the world. The filler is made with Honduran and Panamanian tobaccos, which are artfully blended together and then bound with a Sumatran binder. The wrapper is a dark Maduro grown in Nicaragua, which gives the cigar that dark, medium body with a little bit of oiliness. 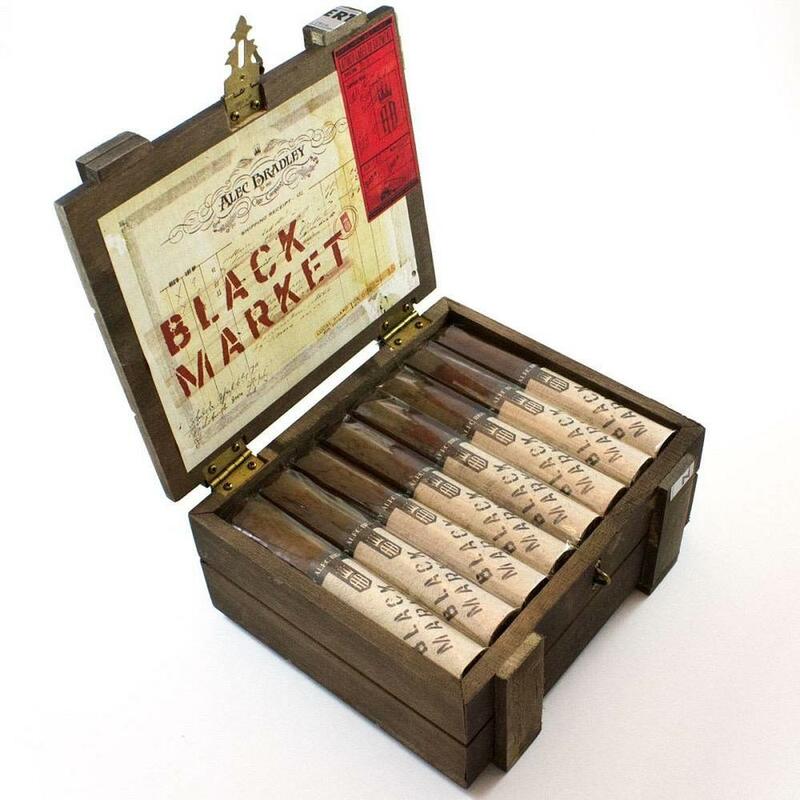 The whole package comes together to make a cigar that is delicious, dark, and with earthy and peppery flavor to it, a cigar you can enjoy again and again. The Alec Bradley Black Market Gordo is available in your local cigar shop, or your favorite online cigar shop, and you need to try at least one. If nothing else, you can enjoy an hour with your thoughts drifing away to Marrakech and the goods being sold in a dark part of the city.